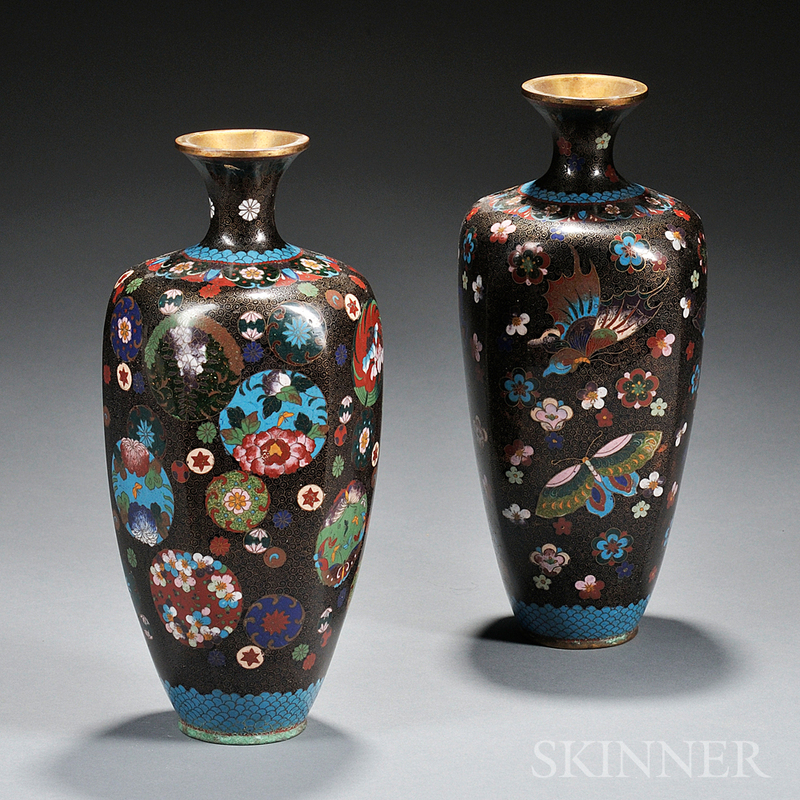 Two Cloisonne Vases, Japan, 20th century, both bulbous, with a short waisted neck and tapering sides, one six-sided, decorated with various floral roundels; the other four-sided, decorated with a flower and butterfly design, both against a black ground with scroll motifs, ht. to 12 1/8 in. in good condition with minor metal rusting to mouth and base.